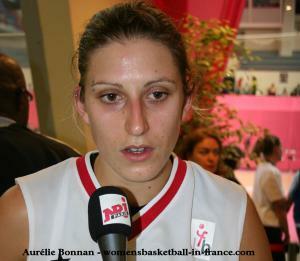 Pierre Vincent has reduced his EuroBasket Women 2011 training roster by releasing nine players from his list. Sixteen players will start the second phase of the preparation starting on Thursday, 19 May 2011 in Divonne-les-Bains. Vincent modified the FIBA Europe list for the EuroBasket participation of France after his declaration last week as Aurélie Bonnan has been invited to the training camp. Her last appearance (seven in total) for "les Bleues" was in July 2005 against Russia. Ana Cata-Chitiga is the only player in the roster without a senior appearance to her name while Pauline Lo who played at the FIBA World Championship for Women in 2010 is the big name in the list of released players together with Mélanie Arnaud, Camille Aubert, Elodie Bertal, Virginie Brémont, Naura El-Gargati, Sylvie Gruszczynski, Laëtitia Kamba and Ingrid Tanqueray.